April is National Minority Health Month. 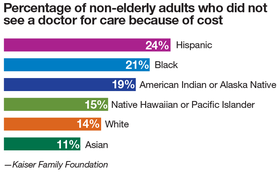 Along with the ongoing challenge of eliminating disparities in care, both insurance and access to care also vary based on race. Download the PDF.